Chief Executive, Peter Hepburn, has announced his departure from Cats Protection. Serving as the Chief Executive of the charity since 2007, he has described his leaving with "a mixture of regret and excitement." In a communication sent out today, he went on to praise the volunteers and staff that have worked closely with him and supported him in his time in the role. He said: "Together with the volunteers and staff across the UK, we have passed the record of helping over a million cats in five years, we have secured advances in the training and support of volunteers and staff, we have developed from scratch both the public education programme and Government relations work, and we have opened new branches and centres to help cats in new areas of the country." 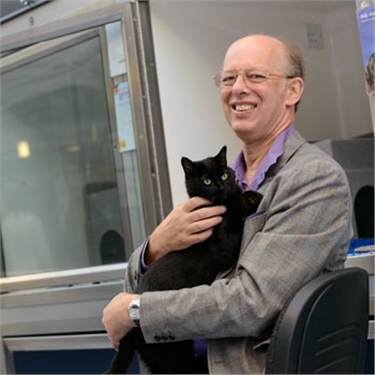 He also went on to thank the Association of Dogs and Cats Homes, of which he has been Vice Chair, for its work in "raising the standards of care and welfare in the sector across the British Isles."